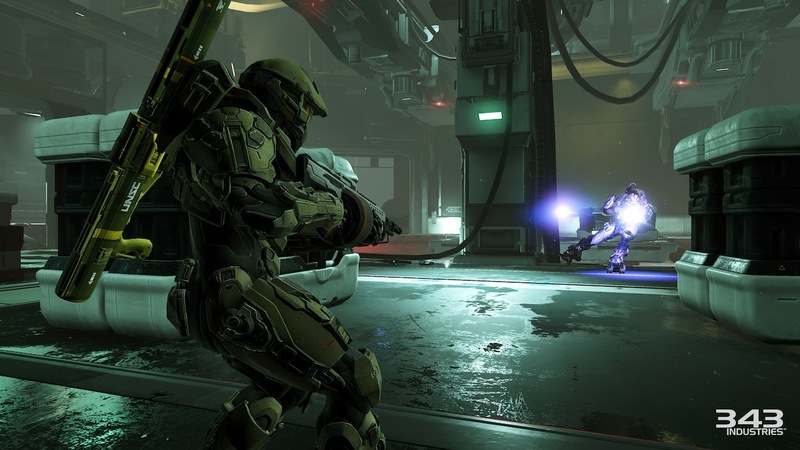 The multiplayer mode of Halo 5 has the best player retention of any Halo game other than Halo 3, and 343i ” is constantly striving to balance ping, ability to match, time to match, and skill balance”. 343’s studio head, Josh Holmes, said this on the Teambeyond forums overnight. Matchmaking improvements for Halo 5: Guardians were announced a few days ago on the official Halo waypoint community blog. However, it hasn’t been without hiccups. There are a few areas where matchmaking is falling short of our goals and not providing the experience that we would prefer for allplayers. With this in mind, the services and multiplayer teams here at 343 Industries have been hard at work at improving and fine tuning the Halo 5 matchmaking experience. Work continues on geographic, infrastructure and code-based solutions. This game is a service, and we’ll continue to improve it throughout its lifespan. Following some criticism regarding ping times, skill balance, and matchmaking time, Holmes replied that 343i ” constantly striving to balance ping, ability to match, time to match, skill balance and hopper population”. The studio head adds that, the studio is aware of the fact that issues regarding matchmaking haven’t been solved, and they are “continually working to improve”. 343’s studio head also had some interesting details to share on the game’s multiplayer player retention. According Holmes, Halo 5: Guardians’ multiplayer mode has the “best player retention of any Halo game, other than Halo 3″. I’m not downplaying the importance of matchmaking speed, but getting stomped can be really discouraging. It can lead to players dropping out of the game permanently, especially if it happens early in their experience (based on data). For what it’s worth, H5 MP has the best player retention of any Halo game other than H3. So to some degree the close matches seem to be working. That said, it may not be optimal for all hoppers and there is always room for improvement. Quite a feat, considering the massive success of Halo 3’s multiplayer.